Physical therapy for spinal stenosis is a conservative treatment modality that is primarily used to help patients deal with the ramifications of canal narrowing rather than actually seeking to cure the underlying causative conditions in the vertebral column. Physical therapy is certainly one of the most common and widely prescribed treatments for the entire range of back and neck pain diagnoses. While PT can be terrific in some regards, it certainly also has its distinct weaknesses. When it comes to spinal stenosis sufferers, these weaknesses shine through clearer than ever. This dialog explores the utilization of physical therapy in spinal stenosis patients. There are no universal reasons why a patient might be prescribed PT once they are diagnosed with stenosis. Some patients may benefit in the way of functional improvement, since they have been guarding motions due to the symptoms of their spinal stenosis. PT will help them increase their range of movement and learn to do everything they need to do in life while minimizing painful expressions. Other patients may be recommended PT in order to satisfy insurance requirements which may be needed to be fulfilled before surgery can be considered. Many healthcare programs will not pay for major surgical services unless more conservative measures have been exhausted first. In these instances, the PT is more red tape than anything of true benefit. Perhaps the very best use of PT for stenosis sufferers is post-surgical rehabilitative therapy. After any operation, the patient should undergo physical therapy to regain lost ROM and functionality, as well as to increase their strength and speed the healing response to the affected region. PT is merely symptomatic care for spinal stenosis sufferers. 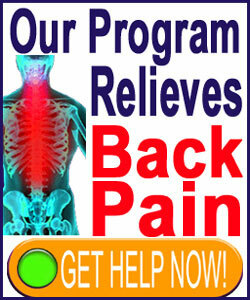 No PT will do anything to reshape the interior spinal canal or eliminate blockages which form therein. As long as the patient understands this clearly, there are no ethical concerns. However, if the patient has any idea that physical therapy will cure them, then there is definitely a serious communication breakdown taking place. Physical therapy can be very painful for some patients, as well. Movement can heighten symptoms in some stenosis expressions, and in rare circumstances, patients may suffer a serious symptomatic escalation during a therapy session. While it is not common for serious effects to ensure, a great number of patients with spinal stenosis find PT to be very uncomfortable, and sometimes, downright agonizing. We are longtime fans of physical therapists and their art. We find these care providers to be incredibly knowledgeable, caring, compassionate and enlightened about many health concerns. We also love their hands-on approach to care. This is such as refreshing change in an industry that really neglects diagnostic and clinical evaluation via examination. Most orthopedists and general practitioners can learn much by observing a talented PT or PTA in action. Don’t worry, physical therapy assistants, we did not forget you. You make all the best treatment possible and rarely get the credit you deserve. All this being said, we are not generally fans of PT for spinal stenosis, since there is little hope for lasting improvement. The treatment does not address the causative issues responsible for enacting pain and neurological sufferings, so patients may be better served pursuing care which does. If spinal stenosis surgery is part of your future plans, then you will certainly want to learn more about PT for stenosis after the procedure. This is its best use and will be an important aspect of your recovery program.